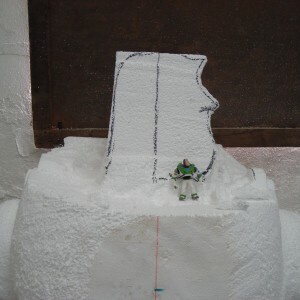 Brief: We were commissioned by Marbel toys Ltd to scale up a miniature model of Disney’s Buzz light year. The model had to be free-standing, so stability was essential. At the same time he had to be light enough to move around easily. 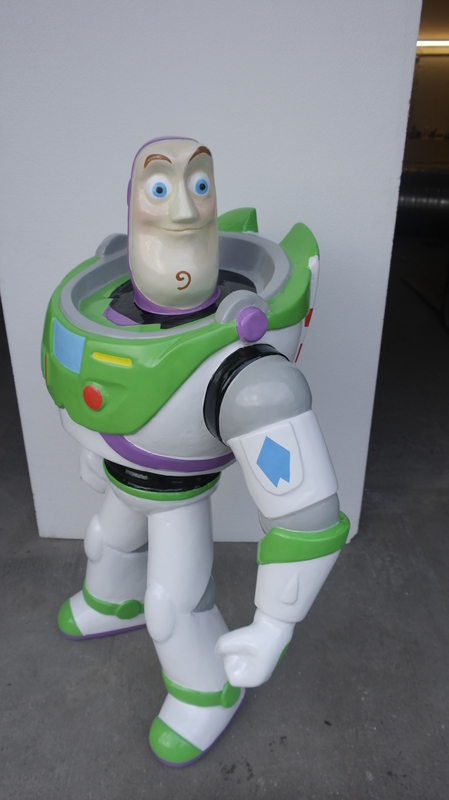 Marbel used Buzz as a display piece at their exhibition stand in a international toy fair. 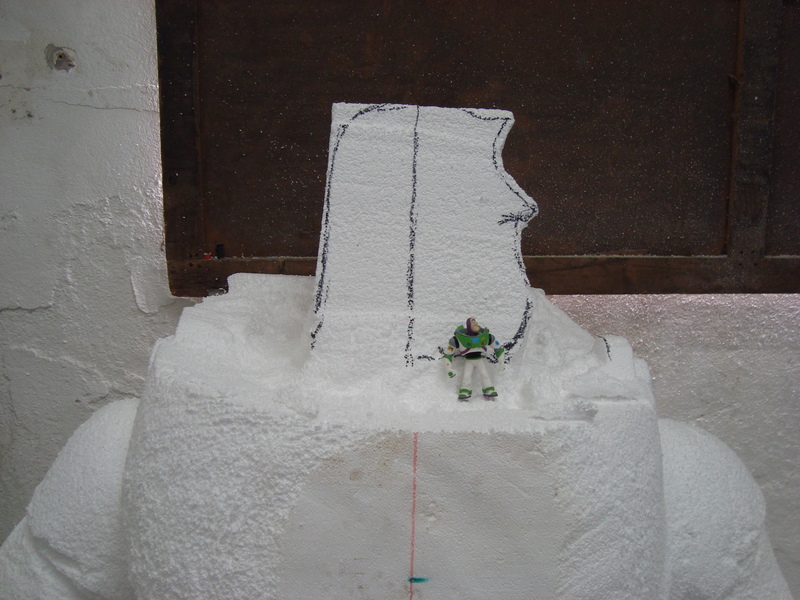 Step 1: First We cut the main shape out of polystyrene. As the hand made replica had to be close as possible to that of the small model, to get to proportions right at this stage is a significant factor. The miniature model needs to be measured precisely in order to scale up accurately. 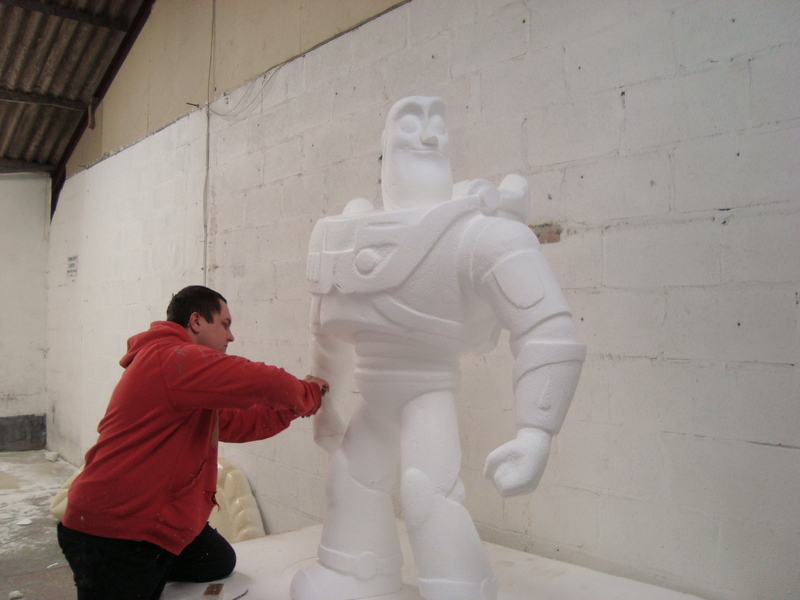 Once he was the correct proportions and position we hand carved him in to a sculpture. Then we fitted weight support in to his feet to ensure stability. 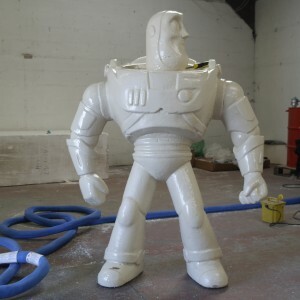 Next we sanded all surfaces to prepare him for hard coating application. 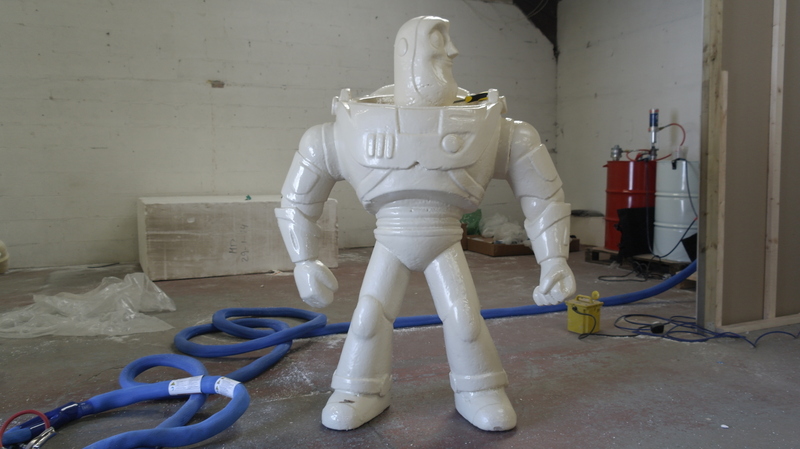 Step 2: Once Buzz was ready, we spray applied hard coating polyurethane to give him that lasting durability + to make him water resistant. As he needed to with-stand any out door events! Due to the high-tech performance of polyurethane coating we were able to begin decoration within minutes. Final step: First we applied a white base coat. 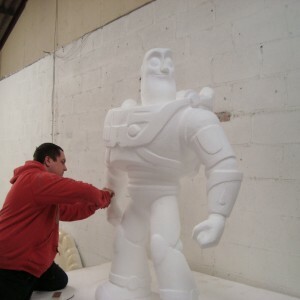 Then we began to airbrush Buzz light year in his original Disney colours. As a finish we decorated all final details with high quality paints. The result was an eye catching high gloss – super smooth finish with vibrant colours, built to last!